We know that a program for lawn fertilization and weed control that works in one neighboring area in Maryland may not be right for another. 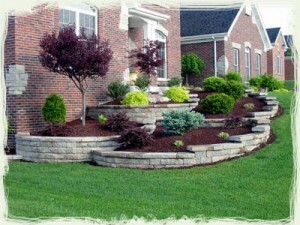 So we tailor our lawn care services to the local climate and growing conditions in your area of Montgomery County. We also know that different people have individual preferences for turf care. That’s why we offer you choices. Millions of dollars a year are spent on weed control in the landscape. The most common method of removing weeds in the lawn is to treat them with chemicals in liquid or granular form. Less common methods are cultural and may involve adjusting the mower height, mowing frequency, irrigation, fertilizer application, or aerating and amending the soil. Soils poor in essential nutrients are hospitable environments for weeds. 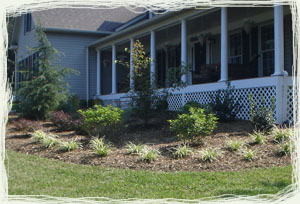 Most lawn and landscape maintenance companies use a combination of chemical and cultural weed controls. Lawn fertilizers are available in slow-release or quick-release form and as liquids, granules, drenches, and soil amendments. Typically, most yellowing or weak lawns just need a dose of slow-release nitrogen (the first number on a fertilizer bag). A soil test could save you valuable time and money by helping you determine what nutrients your lawn really needs. A common problem when applying fertilization is the misconception that more is better. Contrary to this belief, less fertilizer is actually better for your vegetation and the long-term sustainability of the environment. Many homeowners are now opting to use organic lawn treatments such as top-dressing with fully-finished vegetative compost or decomposed dairy manure. Both of which are great natural sources of nitrogen for yards and landscapes. Weed control and fertilization services can be bundled with other lawn care services such as mowing, edging, and trimming. There are also companies that specialize in organic and man-made fertilizer applications. Pricing for these treatments can range so please feel free to contact us!